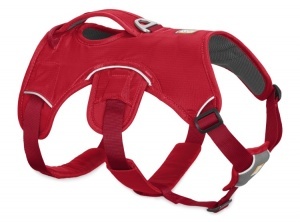 The Ruffwear Webmaster dog harness is one of the best quality harnesses we have ever seen. Supurb materials and attention to detail. 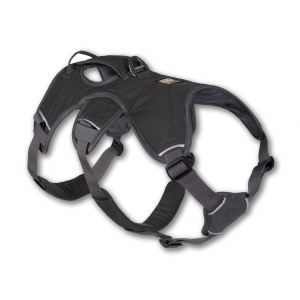 The Webmaster Harness features a comfortable ergonomic fit which distributes pressure evenly. Five way adjustment for a perfect fit. An integrated top handle allows you to hold and assist your dog and the chest and belly straps are foam-padded and fleece lined. The reflective trim aids visibility in low light conditions.